What does the Poppy Austin Vitamin C Face Serum do? 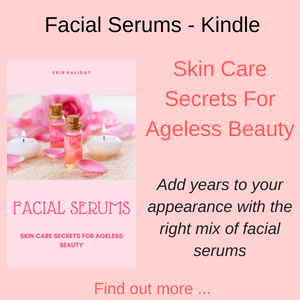 This 20% vitamin C facial serum reduces fine lines and wrinkles, increases the production of collagen in your skin and gives a more plumped-up appearance to your skin. With the Poppy Austin vitamin C serum, your hyper-pigmentation problems are minimized, your skin tone is more even and age spots minimized. Your skin looks brighter and more glowing, refreshed and happily more youthful. Lightens skin tone. Smooths skin texture. Boosts collagen and firms skin. Made in an FDA certified facility in the USA. No parabens, fragrances, artificial colors and alcohol. 30 day manufacturers money back guarantee. Who should use the Poppy Austin Vitamin C Serum? This serum is suitable for all skin types – dry, oily or combination and in particular on thin, sun damaged and sensitive skin. 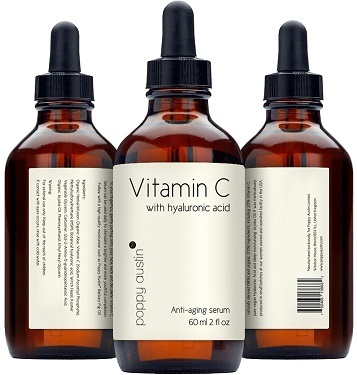 So if you are noticing a few signs of aging on your skin, maybe a few lines, some sagging and maybe some signs of sun damage, such as rough skin and sun spots, then this triple strength vitamin c and hyaluronic acid serum will help to rejuvenate your skin and give you a more radiant and youthful complexion. 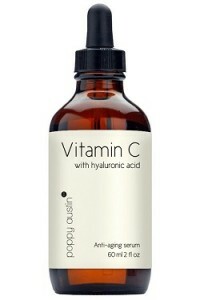 How do you use the Poppy Austin Vitamin C Face Serum? Once you have cleansed your face and neck, pat your skin dry (leaving it a little damp) and massage a few drops of the serum into your skin. 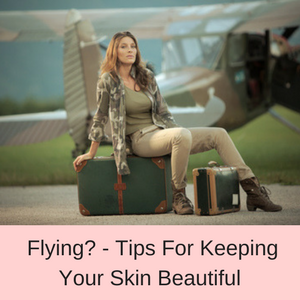 Once the serum has absorbed, use your moisturizer and makeup if desired. If you have really dry skin, make sure you do use a moisturizer after applying the serum or your skin could dry out even more. Bottle with dropper – 2fl oz (60mls) – This large 2oz bottle is great value! This serum is free from parabens, fillers, artificial colors, fragrances and alcohol and is suitable for vegans. It is cruelty free, not tested on animals and is made in the USA with 98% natural ingredients. 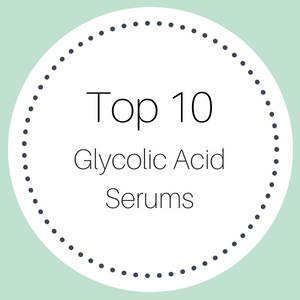 The hyaluronic acid is suitable for vegans and contains organic aloe vera, gotu kola, geranium and dandelion. The ingredients are responsibly sourced and it is a Fair Trade product. Poppy Austin states that new batches are made every day to keep this vitamin C serum at its freshest. Vitamin C is a powerful antioxidant that is essential in cellular repair. It also helps reverse the signs of aging caused by free radical damage from the sun and environmental pollutants. Age spots and sun spots are reduced, the production of collagen is stimulated and your skin looks much healthier and fresher with a radiant glow. Hyaluronic acid is known as the fountain of youth because it gives your skin a super pulse of deep hydration. It has the ability to absorb more than 1000 times its own weight in water and ensures that moisture is delivered to the deeper layers of your skin, where it can do the most good. 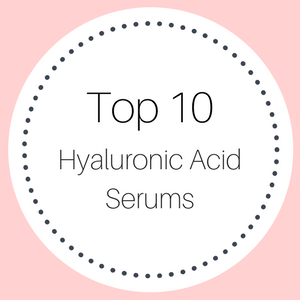 Hyaluronic acid also stimulates the production of collagen (in fact it is essential for the production of collagen) so your skin looks healthier, more hydrated and plumper. Jojoba oil is a combination of waxy esters, antioxidants and omega fatty acids. The wax esters help your skin to absorb and retain moisture, the antioxidants give your skin a healthier glow and reduce the appearance of sun and age spots and the omega fatty acids help to rejuvenate your skin. 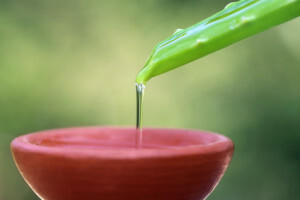 Aloe has long been used as an anti-inflammatory and is particularly effective in healing burns and dry, flaky skin. It was used long ago by the Egyptians and they called it the plant of immortality. 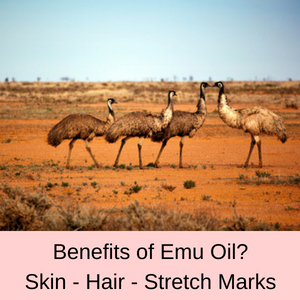 It helps to calm down a lot of itchy skin conditions and also aids in clearing up acne. With a host of antioxidants, aloe also reduces hyper-pigmentation and helps to reverse the signs of aging caused by free radicals. Also known as Indian Pennywort, this old time herb is making a comeback in the world of anti-aging skincare. 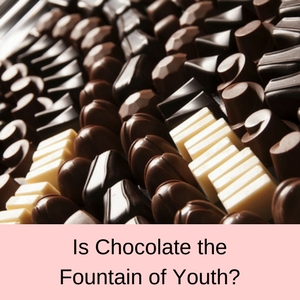 It is chock full of vitamin A, fatty acids and amino acids and helps to reduce inflammation, stimulate cellular repair and increase the production of collagen. Also known as bottlebrush, this perennial herb contains silicon and promotes the production of collagen, evens out your skin tone, improves the texture of your skin and increases elasticity. 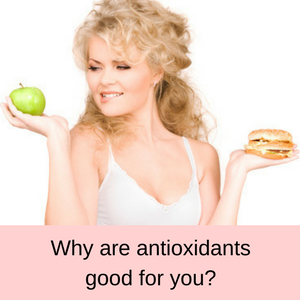 It is also full of vitamins and antioxidants and so helps to prevent and reverse the damage caused by free radicals. Horsetail is also great for reducing the inflammation in acne prone skin. Organic geranium is useful in healing acne prone skin as its astringent properties assist in reducing the oiliness of your skin. 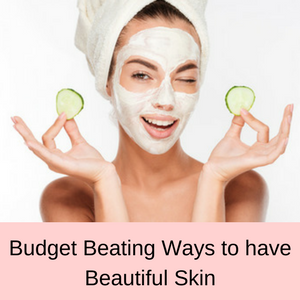 It also has anti-bacterial properties which assist in preventing further outbreaks and anti-inflammatory properties that help in healing acne, eczema and psoriasis. Geranium also helps to reduce the appearance of scarring and assists in cellular repair. 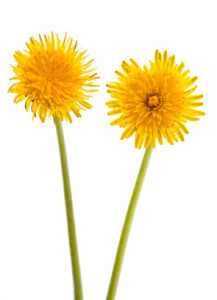 Dandelion is a powerful detoxifier and antioxidant and helps in the treatment of acne. This lovely flower aids in healing lots of frustrating and painful skin conditions, such as eczema and psoriasis. The powerful antioxidants in dandelions helps to reverse the signs of aging caused by free radical damage and evens out your skin tone. Your skin is clear and brighter – just what the Dr ordered! PROS: Nearly 90% of all customer reviews gave this vitamin C face serum a 4 or 5 star rating. Lots of customers have commented on how quickly this serum works. 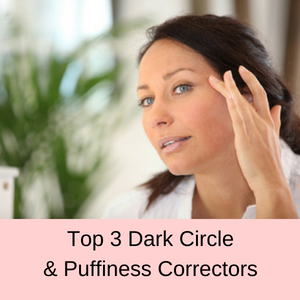 They have noticed that fine line are reduced, their skin is much softer and glowing and seems a lot brighter and fresher. The serum is not sticky or gluggy and absorbs quickly into the skin. CONS: Not many customer reviewers gave this vitamin C facial serum a one star rating. Only a few customers commented that they had not noticed any difference in their skin since using this serum. One or two said that their skin had become drier, but that may be because they didn’t use a moisturizer – they do not expand on that in their comments. My age spots are fading they are not completely gone but I hope if I continue to use Poppy Austin’s Vitamin C eventually they will disappear. My skin feels smoother and I love the fact that the serum absorbs quickly and doesn’t interfere with sunscreen application. This is part of my new 40+ year skin regimen and I love it. Teamed with actionel (retain-a) and moisturizer at night. I swear my skin has never looked so good. Excellent product. Have seen an improvement in my skin texture and hydration! This product is phenomenal! It makes my skin glow and is a must have. It is the type of product that I can’t live without, even for a night. The Poppy Austin Vitamin C Serum contains 20% Vitamin C and is available in a large 60 ml (2 fl/oz) bottle, which is great value for the price. 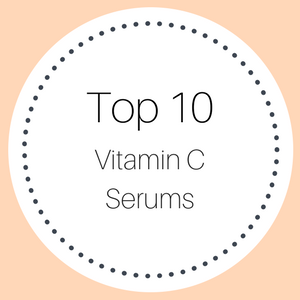 With lots of wonderful ingredients, this vitamin C serum reduces age spots, fine lines and ark circle under your eyes, as well as plumping up the collagen and rehydrating your skin. 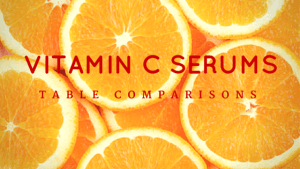 Compare lots of vitamin C serums here.